It’s no secret that “ugly” sneakers and similar chunky styles have been reigning supreme over the last few seasons. 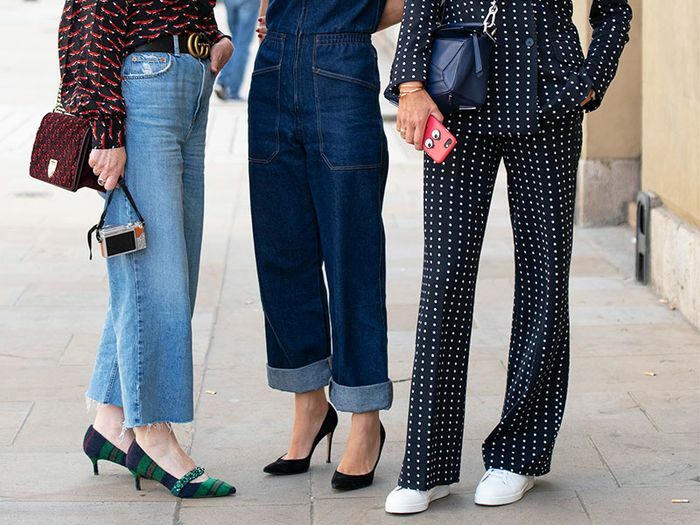 You pretty much can't scroll through Instagram or look below-the-ankles of the street style set during fashion month without spotting a pair of the clunksters. But despite their popularity, fashion girls continue to prove that more classic trainer silhouettes can still hold their own. Remember the classic leather kicks that were legit everywhere a few years ago? Well, they’ve never really died out—and are actually still a fashion-favorite today. After scrolling through a range of recent street style imagery, it’s clear that clean, all-white sneakers will continue to be a staple amongst the fashion crowd—adding a laid-back yet polished vibe to cool denim looks, suiting ‘fits, and everything in-between. To prove our point further, we’re showcasing seven stylish ensembles featuring the trainers below—and shopped out our favorite pairs if you’re looking to take a break from “dad” sneakers all together. White sneakers add a chill twist to this sophisticated coat and dress ensemble. Lean into the athleisure look by wearing white sneakers with a sporty pullover and a graphic skirt. Add contrast to an all-black look with the classic white sneakers. You can't go wrong with sneakers and jeans—it just always works. The white sneakers pop so flawlessly against this denim-on-denim ensemble. While heels would undoubtedly work here, the sneakers feel a bit more unexpected and forward. Tone down a look featuring a statement coat with classic white kicks. A pair of white kicks tone down a look featuring statement outerwear. Next, check out the "ugly" shoes women pay a premium to own.